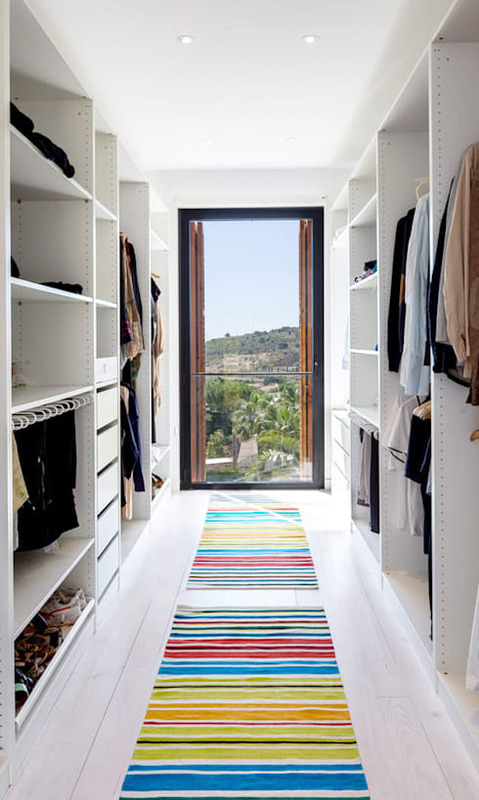 Most of us dream of the day when we can walk out of our bedroom and into a fantastic walk-in closet, displaying a myriad of clothing options and accessories in a variety of colours and patterns. 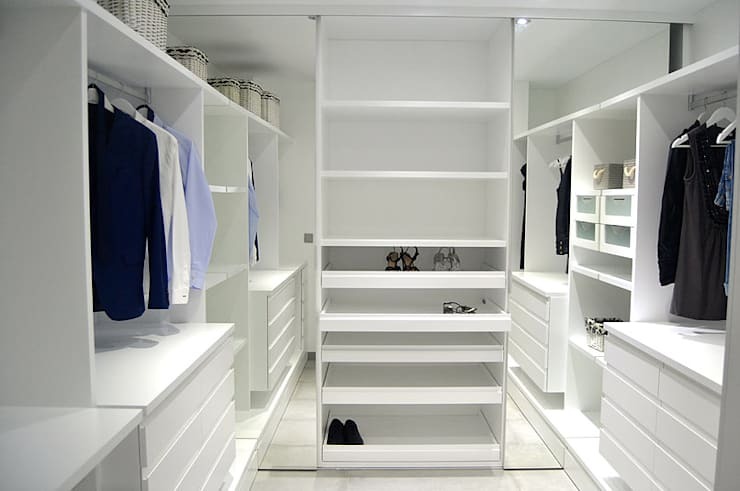 Fortunately, it costs nothing to dream, and neither does checking out our collection of walk-in closets / dressing rooms that could be pure perfection for your dream home. From modern and contemporary to classic and minimalist, this collection of dressing spaces is sure to cater for your personal taste and style – and it might just inspire you to jump-start your own walk-in space back home! 1. 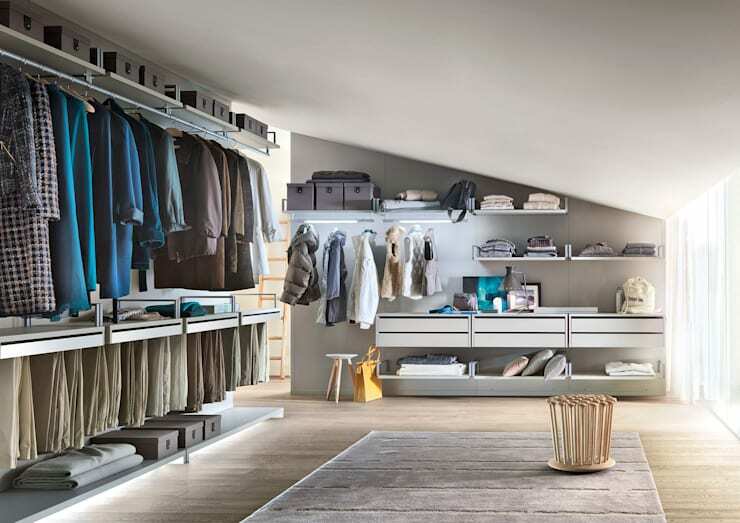 A decent shelving system is crucial in ensuring practical organisation for your fashion collections. 2. 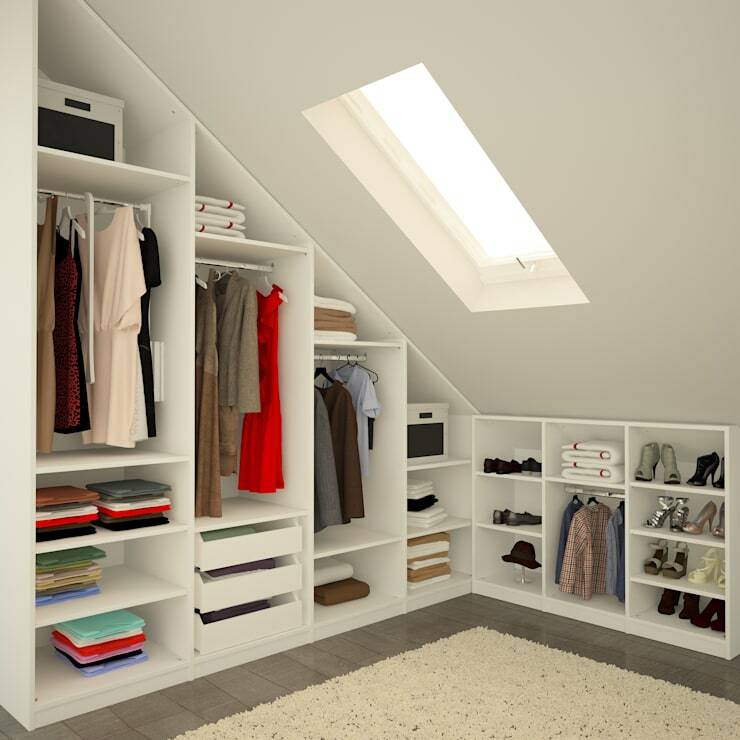 Even a small area like a loft space can become a very stylish dressing area. Allow our extensive list of professionals (including interior designers, architects, gardeners, lighting experts, etc.) to help you conjure up the house (or dressing room) of your dreams. 3. Note how the cool tones and exceptional organisation of this dressing space exude a calm ambience. 4. Of course we are always game for a touch of luxury, such as this lounge-seater (which also stores shoes), not to mention the exquisite chandelier. 5. Keep the elegance strong with classic lighting, an ornate mirror and patterned rugs. 6. Double up on visual space and make your dressing room look twice as large with floor-to-ceiling mirrors. 7. Glass doors ensure a more open and inviting look – a perfect touch for your more modern space. 8. White creates visual space, so remember the light neutral tones if your dressing room is rather small. 10. We love how the circular mirrors and ceiling light add a soft and curvy touch to this space. 11. Never underestimate how sophisticated a wooden floor can look. 12. Natural light is a key factor in styling up any room. 13. This dressing area may be small, but thanks to the hot pinks, soft fabrics and floral patterns, it’s definitely also charming and stylish. 14. Want your dressing room to have a more sleek and elegant vibe? Opt for neutral hues, clean lines and modern materials like glass and steel. 15.	Who says you can’t get dressed with a view? That large window is the perfect addition to this narrow room! For more inspiration for your fashions, let’s see 10 very clever (and stylish) ways to store your clothes. Which of these ideas do you intend to copy back home?